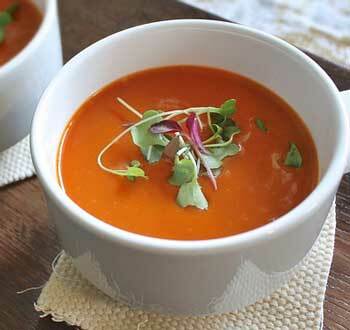 Try one of these homemade tomato soup recipes for your next dinner. 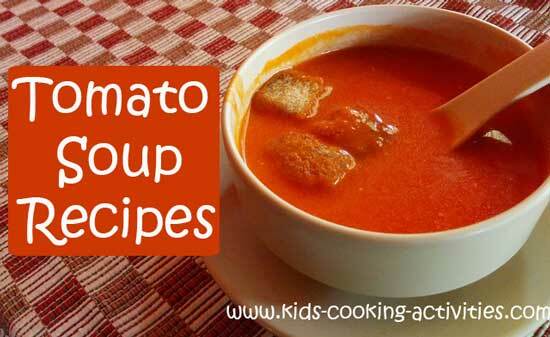 It goes great served with toasted bread, grilled cheese sandwiches or croutons sprinkled on the top. In saucepan melt butter and olive oil. Saute chopped onion. Whisk in flour and tomato paste until a thick roux. Whisk in chicken broth. Add tomatoes and seasoning. Turn to low and simmer 20-30 minutes. Puree soup. Serve warm. Puree tomatoes in a blender. Then add to a soup pan. Stir in tomato juice and basil. Simmer 30 minutes on low. Stir in cream. Serve with a sprinkle of parmesan cheese. ~If you would like you can saute 1 chopped onion and 2 garlic cloves, minced to the soup before simmering. Place the butter into a saucepan placed over medium heat. When the butter has completely melted stir in the shallots. Reduce the heat to medium low and cover the saucepan. Sauté the shallots for 5 minutes or until tender. Stir in the tomatoes with their juice and the tomato paste. Pour in the broth and stir well. Adjust the heat to medium high and bring the mixture to a boil. Reduce the heat to medium low and simmer for 5 minutes. Remove from the heat and stir in the dill before serving. 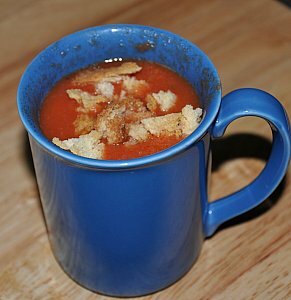 Share your homemade tomato soup recipes?